Lack of employment opportunities and low income of population in the remote rural areas of Utena and Latgale cross border region, encourages people to consider development of the alternative activities, as self-employment and participation in the local food market. The project idea is to build a local foods support system that tackles four steps: production, promotion and delivery and sales, thus creating new opportunities for local economies. In order to understand how modern local production works, people have to try it themselves. Therefore practical meat, milk and crops processing training for potential producers at the successful producer’s sites in different countries will be organised in the frame of the project. 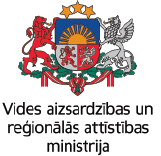 In order to constantly promote local products local product contest, also local menu contest for restaurants of Latgale and Utena regions will be organised, specific local product promotion festivals started, local product fairs arranged. Finally, to support a delivery process from local producers to consumers a “local food truck” and 2 mobile kiosks will be bought for each of the partner that also ensure new local product promotion and sales testing. Address: Hipodromo g. 5, Didžiadvario k.